Temprite’s 900 Series hermetic coalescent oil separators were the first high-efficiency separators and set the industry standard for performance. Unlike conventional separators, Temprite’s 900 Series are not dependent on velocity for efficiency; coalescent oil separators maintain the same level of effectiveness down to 20% of maximum flow. The high efficiency performance of the 900 Series reduces energy consumption. Better heat transfer through the coils translates into significant kW savings. Two of the biggest energy drains on any refrigeration system are dirt and contaminants and excess refrigerant oil. 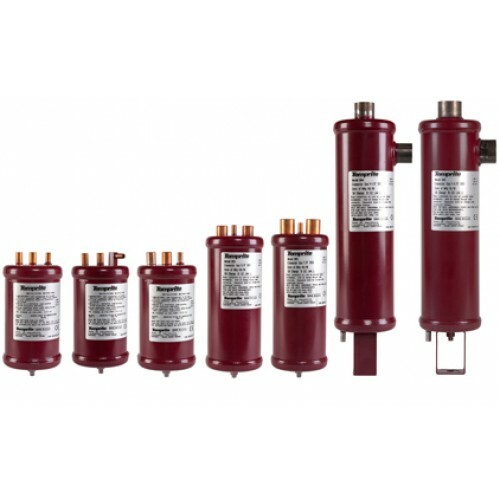 In addition, the new refrigerants coming onto the market have an enhanced solvent effect, meaning more contaminants than ever can be clogging your system. The Temprite 900 Series is designed for OEM applications where cleanliness specifications may be audited. 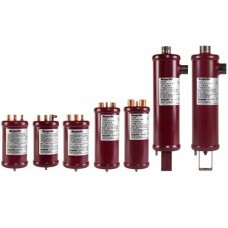 The exceptional Temprite Standard Filter technology cleans contaminants down to 0.3 microns in size.